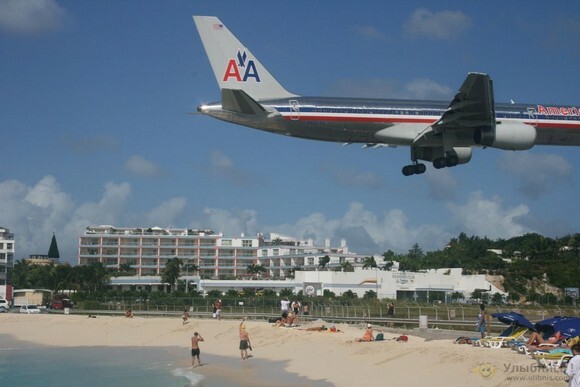 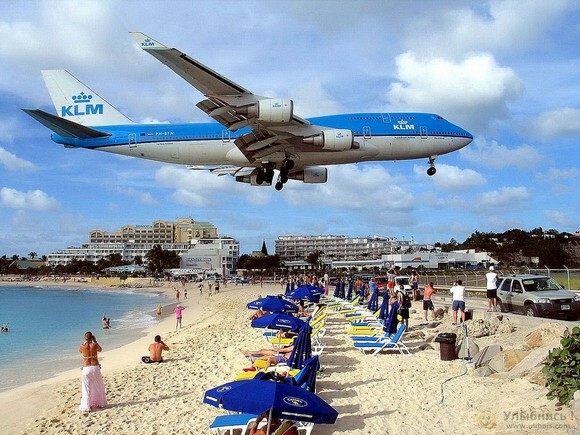 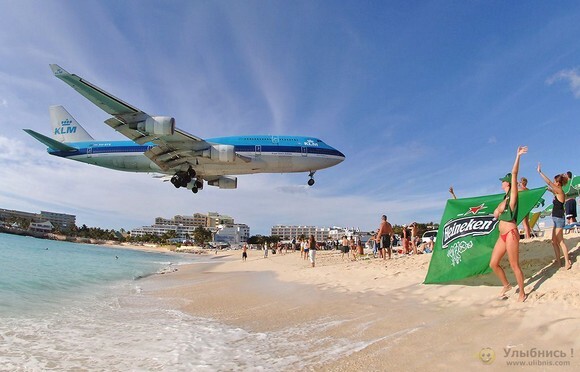 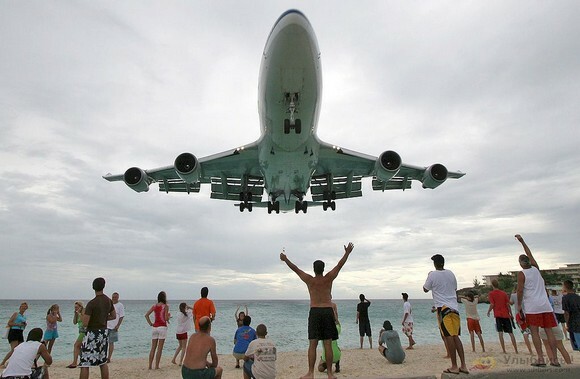 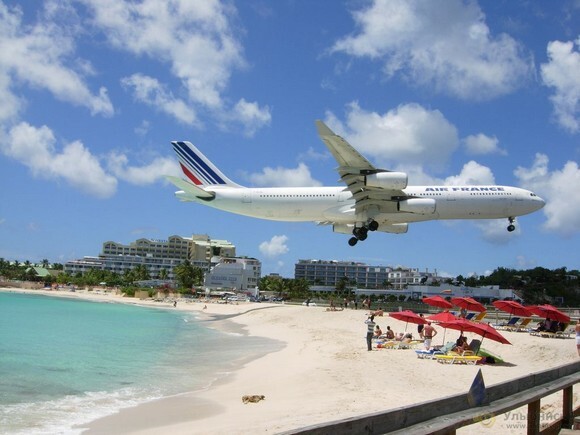 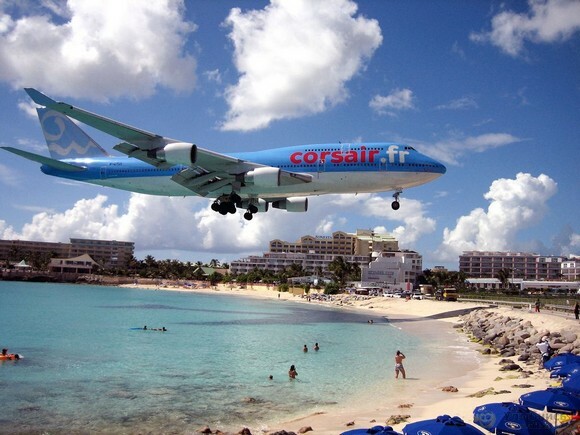 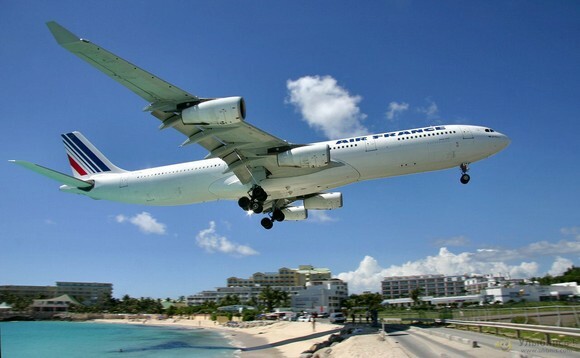 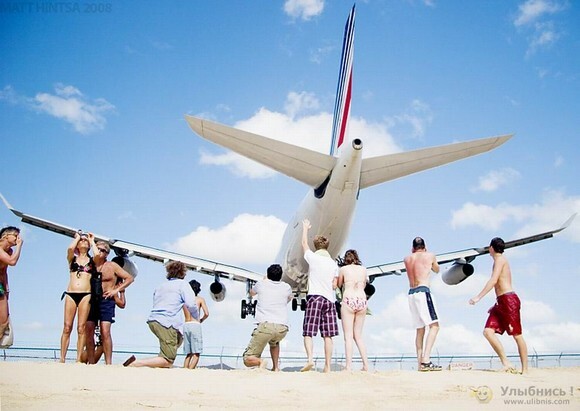 Maho Beach is a beach situated in St Maarten in the Netherlands Antilles, on the Dutch side of the island. The location is known worldwide because of the Princess Juliana InternationalAirport that is situated immediately adjacent to the beach. Incoming air traffic is known to have to touch down as close as possible to the beginning of runway 10 due to the short runway length of 2,180 metres/7,152 ft, resulting in low-flying aircraft on their final approach overthe beach. Due to these low flying airplanes (including large passenger airliners such as the Boeing 747), the location is very popular with plane spotters. 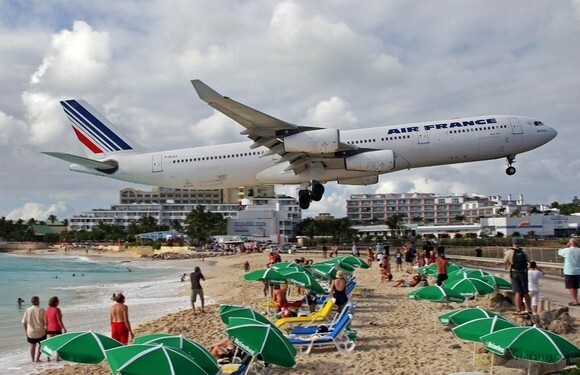 People standing on the beach may also be blown into the water because of the jet blast from aircraft taking off from runway 10. The beach can also experience large waves which makes it popular with windsurfers and skimboarders. The local government warns that closely approaching and departing aircraft can “result in serious injury and/or death.” An additional fence has been added recently behind runway 10 to prevent irresponsible tourists from hanging on to the main fence surrounding the runway to be “blasted” by the aircraft engines’ flow. 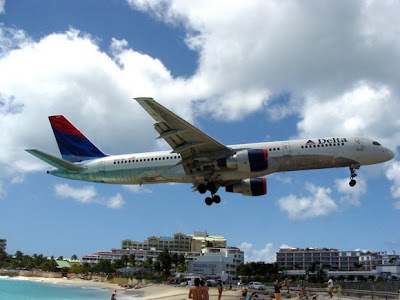 As of 2008, it is one of the few places in the world where one can view aircraft in their flightpath virtually just outside the end of the runway. 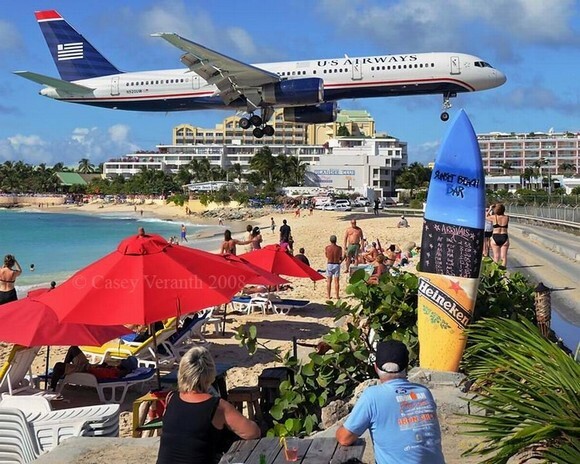 Watching airplanes overthe beach is such a popular activity that daily arrivals and departures airline timetables are displayed on a board in most bars and restaurants onthe beach, and the Sunset Beach Bar and Grill has a speaker on its outside deck that broadcasts the radio transmissions between pilots and the airport’s control tower. Sign warning passers-by about the risks of jet blast. 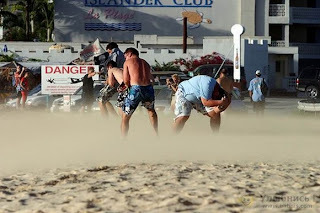 The beach itself is white sand and has little to no vegetation because of the jet blast erosion. 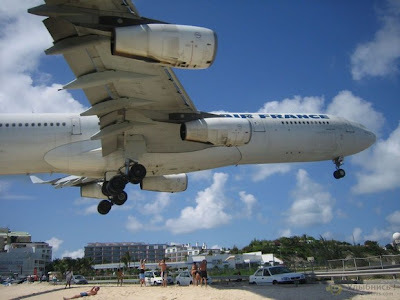 The Caravanserai Resort, the popular Sunset Beach Bar and other restaurants/night clubs such as Bamboo Bernies and Bliss are located nearby. On October 16, 2008, the Maho area of St. Maarten suffered a direct hit from Hurricane Omar and destroyed the Sunset Bar and Grill while also destroying Bamboo Bernies and Bliss. As of November 2009, Sunset Beach Bar and Grill and Bliss have both re-opened. 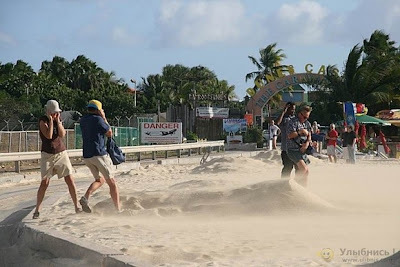 Omar reducedthe beach to boulders, and damaged the nearby Royal Islander Club La Plage which re-opened February 14, 2009. 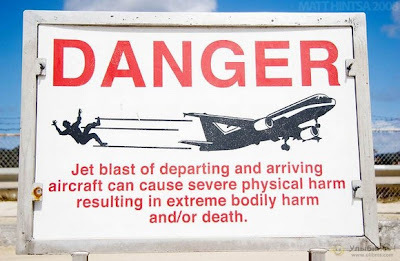 Runway 10/28 was originally runway 09/27 which was changed as a result of geomagnetic alterations since the original construction. 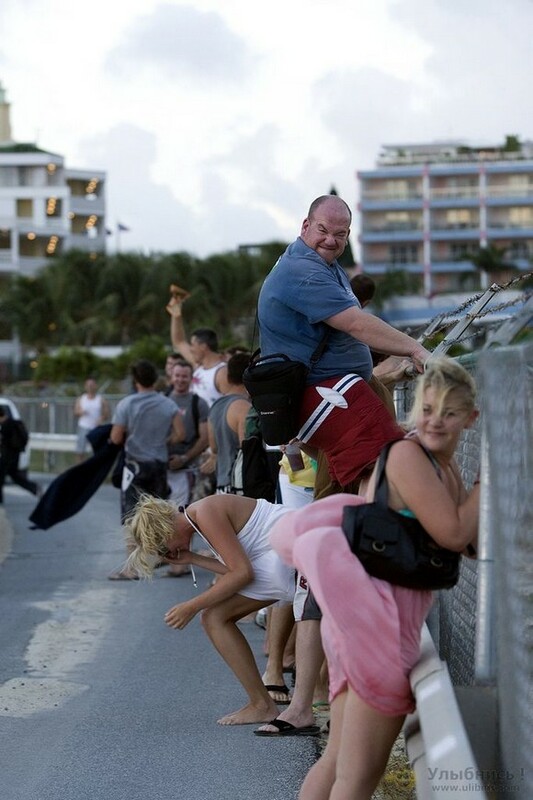 This change occurred on November 1, 2008.